Let’s face it, certain people take more work than others. 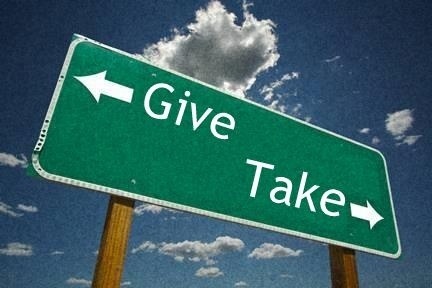 In ministry, I believe we encounter a variety of people, but the two extremes are givers & takers. I know. I know. Everyone is worth our time, but as ministers and leaders we must be wise in how we spend our time. We need to know how and when to invest in people, because some people aren’t an investment, they’re a black hole! Here’s the difference, givers are characterized by an attitude of service and humility. They cause minimal problems and can be called upon in a pinch. Givers give, not to be recognized, but because they understand how much they’ve been given. They have a proper perspective on the world and their role within it. On the other hand, takers are the exact opposite. They are lazy, demanding and impossible to satisfy. Takers always leave you frustrated and disappointed. They have a way of insinuating that you owe them, even when you’ve repeatedly given to them. My caution to you today is to cut takers out. I’m not advising anyone to ignore responsibility, but we must be careful that we are not becoming an enabler in the process of “helping”. Unfortunately, many leaders within the church are taken advantage of. They have big hearts that want to reach out and help if possible. But let me gently remind you of the fact that we are not the Savior… Jesus is. God gave you the responsibility to help, but if a few people are monopolizing your time, they are actually hindering your ability to help others. Be sure to guard your time and resources. God may have commanded us to give and be generous, but He also conveyed the importance of stewardship. So today, I’m giving you permission to stop being taken advantage of. Distance yourself from people who make you out to be their Savior, because you’re not, and you never will be. Don’t feel bad, just move forward and use that extra time and energy to help people who really need it!